While buying vaping products Tuesday at Lineage Vapors on Main Street, Nashua Resident Lucas Taft has his age verified by the store’s clerk, Andrew Gogan. Telegraph photo by MATHEW PLAMONDON Lineage Vapors clerk Andrew Gogan exhales a massive puff of vape smoke Tuesday. Businesses and residents are still waiting for the decision on the proposed smoking ordinance. 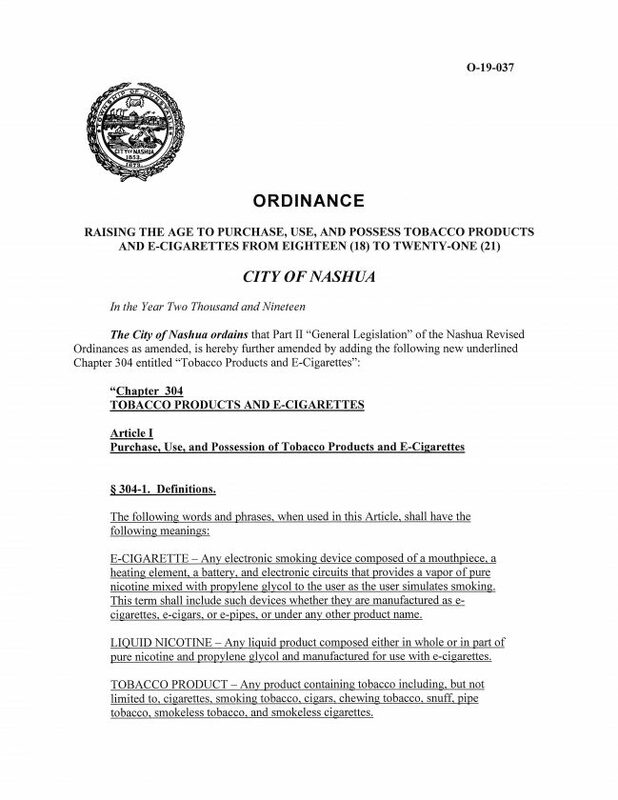 NASHUA – A 20-year-old man or woman may be fined up to $100 for merely having cigarettes in Nashua, let alone smoking them, if Board of Aldermen members change the legal tobacco and nicotine age from 18 to 21. Members of the city’s Personnel and Administrative Affairs Committee are sending the ordinance for consideration by the full Board of Aldermen. 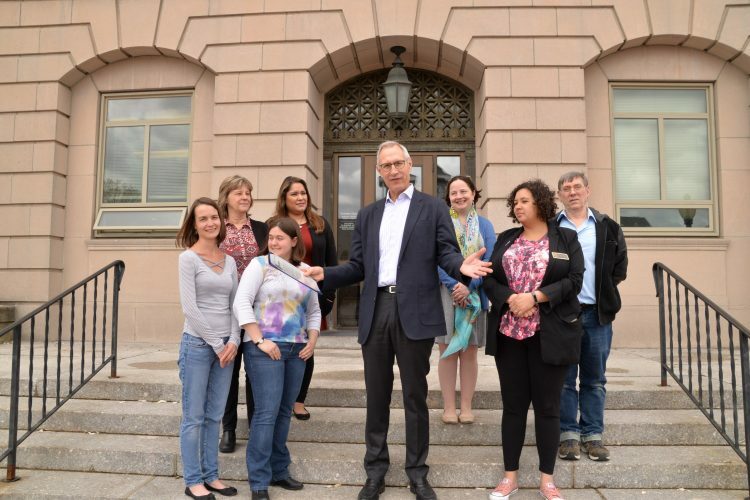 The board’s next regular meeting is set for 7:30 p.m. Tuesday at City Hall, 229 Main St. 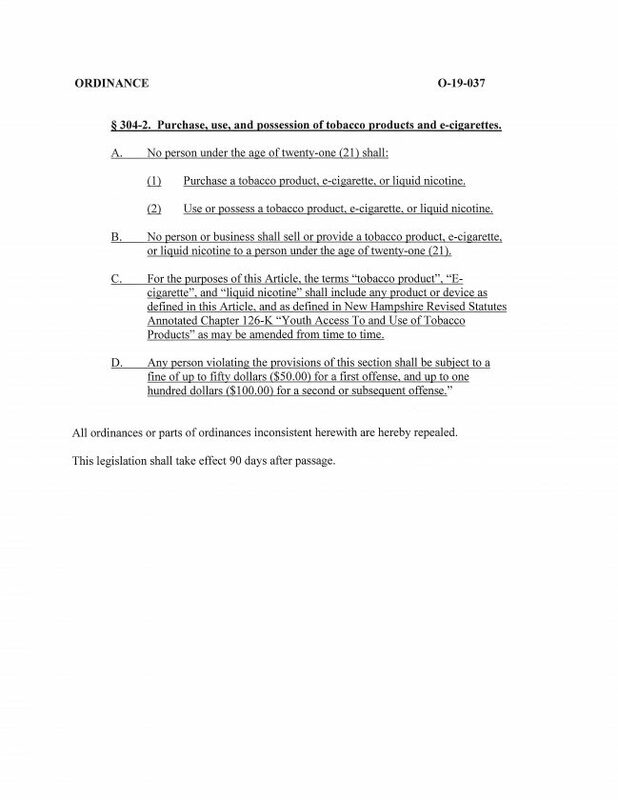 Ordinance 19-037 would raise the age to purchase, use and possess tobacco products and e-cigarettes from 18 to 21. Committee members discussed this matter at length during Monday night’s meeting, ironically on the first day of National Public Health Week. While some officials have changed their mind on the ordinance after hearing public testimony and comments made during the discussion, Alderman-at-Large Ben Clemons stands firm in his belief that picking up such a habit is a personal freedom. He believes in personal liberties for adults. Although he is not a regular smoker, said he does enjoy a cigar on occasion. Alderman-at-Large Brandon Laws has a different view. “I think that it’s our role as community leaders to look at these very difficult questions and make tough decisions about them,” Laws said. New Hampshire is bordered by states (Maine, Massachusetts and Vermont) that already increased the age for legal smoking and vaping to 21. Lopez does not believe enacting an ordinance to impose the same restrictions seen a few miles down the in Massachusetts as overreach. Meanwhile, some younger people attended the meeting to express support for raising the smoking and vaping age. Some of those younger voices came out to the meeting, and voiced their support for raising the age, adding that from first-hand experience, this is a problem in the school system. The majority of those speaking during the public comment period favored the ordinance, including one woman also working in the schools who brought in a large bag full of various vaping devices that have been confiscated in the schools to use as a visual aid. The bag was mostly comprised of JUULs, devices made by the current market leader in vape products. However, JUUL Labs supports raising the age to 21. “We are committed to preventing youth access of JUUL products, and no young person or non-nicotine user should ever try JUUL,” JUUL Labs spokesperson Ted Kwong said in an email last month. 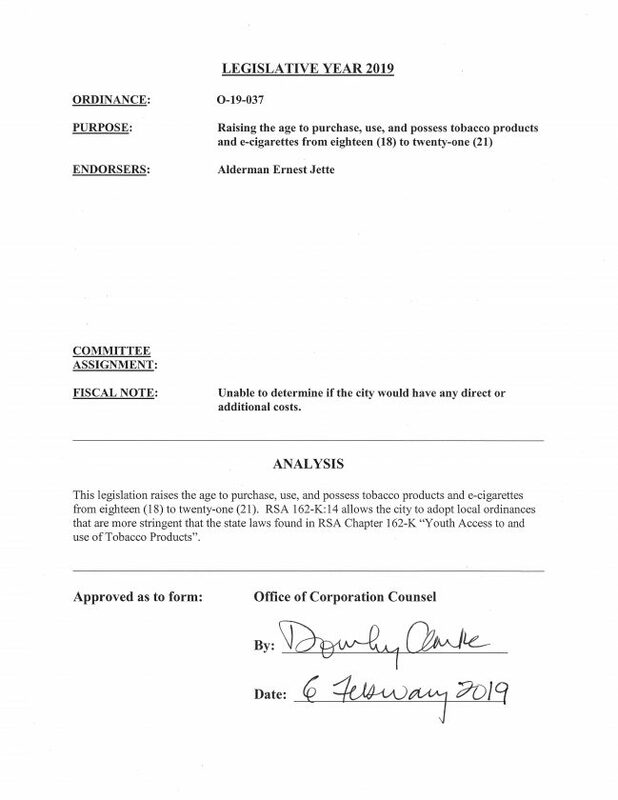 “Tobacco 21 laws have been shown to dramatically reduce youth smoking rates, which is why we strongly support raising the minimum purchase age for all tobacco products, including vapor products like JUUL, to 21 in New Hampshire,” Kwong continued in that email. During the Monday meeting, questions concerning how the Nashua Police Department would enforce this ordinance arose, especially with towns and cities around the Gate City that have not passed similar legislation at this point. Lavoie attended the meeting and spoke to these concerns. 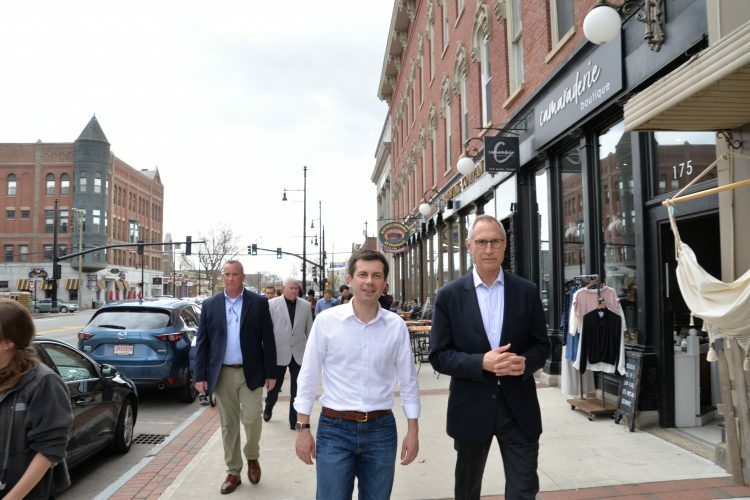 He said it does not matter if someone purchases it legally in another town — they will not be allowed to have in Nashua. Period. 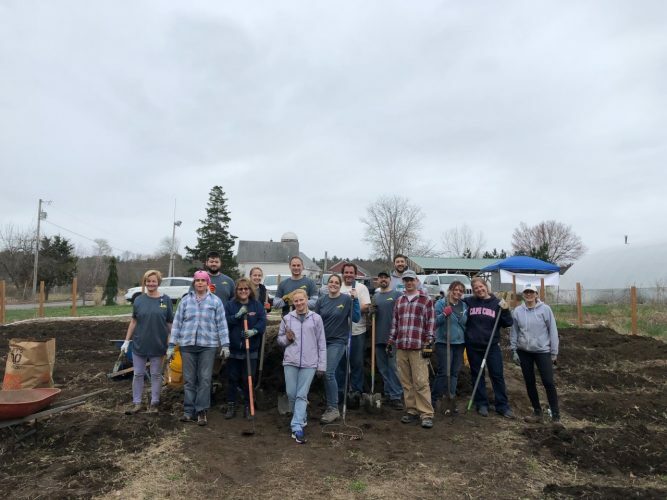 Lavoie said this is comparable to how just south of the city in Massachusetts, one can possess up to 10 ounces of marijuana for recreational purposes. However, crossing the border into New Hampshire can result in a crime that can cause the same person to be arrested. He said the department has the human resources to enforce this ordinance. Lavoie said he does not want his officers seeing someone who appears to be under 21 and going after them, but also said he can address that concern within his department. Also, in the event that someone under 21 drove through the city and was stopped by an officer with a pack of cigarettes on the seat, for example, Lavoie said that would then be a secondary offense. Board of Aldermen President Lori Wilshire said she is unsure how she will vote when the ordinance comes back before the full board. Wilshire said she does believe the city is taking away individual rights if this passes.